It is perhaps one of my favourite passages, well written, succinct and to the point. For everything there is a season, a time to be born and a time to die, a time to cry and a time to laugh, a time to build up and a time to tear down. Right now in Fort McMurray it is the time to tear down. Not to tear down our community, our achievements or what we have accomplished – but to tear down the plethora of vacant, derelict, neglected and decrepit buildings littering our downtown core. From the Twin Pines motel to Penhorwood to the unfinished condo development, we have buildings that been sitting idle for some time, often counted in years and not months. These buildings have become a target for graffiti taggers, for vandals, for vagrants and local youth. They are an eyesore, a public embarrassment and a safety risk. RMWB Councillor Keith McGrath is pursuing a motion to have the properties expropriated by the RMWB demolished in order to begin to improve the appearance of the downtown and attract the investments we so desperately need if we are to continue to redevelop – and revitalize – our downtown. Make no mistake. Our downtown core will die if revitalization does not occur, and we are already seeing signs of the kind of decay that, if left too long, may well be irreversible. I fully support Councillor McGrath but I would go a step further. I would suggest that we need to look into ways to force the demolition of all buildings that have been left vacant and derelict. There are many ways this can be accomplished – through increased taxes on vacant properties, forcing the issue through financial means. It can also be done through court orders if a property is deemed unsafe (Penhorwood comes to mind, as it has come to my attention that there are people currently finding refuge in these buildings at night, exposing themselves to significant risk). The issue often comes down to one of expense, and who will pay for the demolition, and I will be very honest – as a taxpayer and resident I am quite willing to see some of my tax dollars going towards demolition of this nature, because the current state of our downtown hurts me. I recently sat down and spoke with a visiting journalist. Seeing our downtown core through their eyes was deeply troubling for me. Their words were not kind, but they were not inaccurate, either. These words were like an arrow to my heart, because I know the tremendous potential of our downtown core. I know the heart of this community, the passion and the commitment to making it a better place – but right now we are failing in our downtown core, and I see troubling signs of it every day as new graffiti appears, and more buildings sit vacant, idle, empty and devoid of the vibrant and energetic life that exists here. I won’t pretend to know the entire solution. I don’t know how to fix all that ails us, but I think I know where to begin. There is a time to build up, and a time to tear down. And right now, in Fort McMurray, it is the season to tear down, as we move towards a future of building up not only our hopes and dreams but our community. 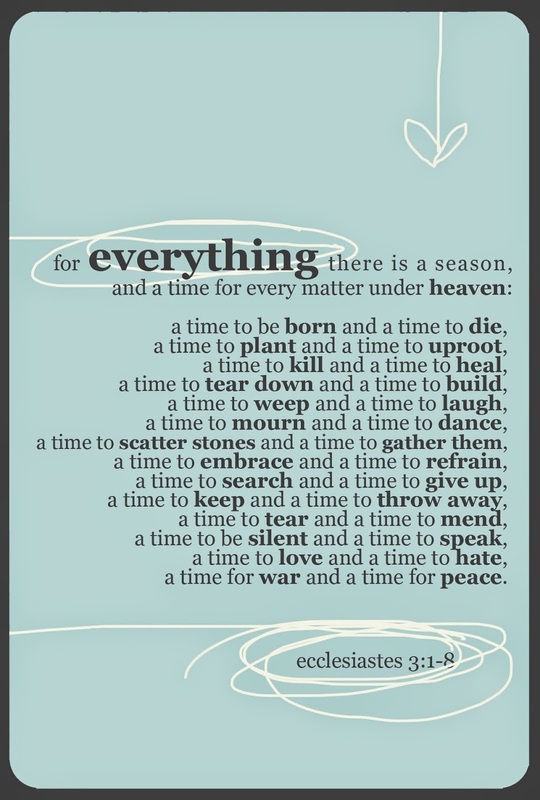 For everything there is a season. It is now the season to tear down the decay, the vacant, the dirty, the abandoned and the desolate and welcome the season of renewal, rebirth and welcome the future, and whatever it may bring.